Tinga Stewart first recordings were "She's Gone" and "Old Old Song" with Ernest Wilson of the Clarendonians. 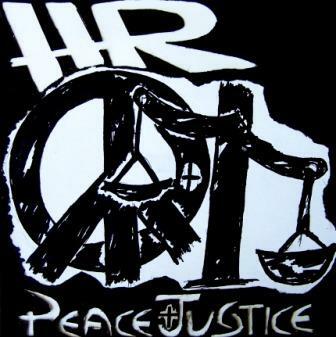 Hit "Hear the Train" produced by Derrick Harriot followed. Tinga became lead vocalist for a group called the "Wildcats" and performed at some of the leading entertainment spots in Kingston. He sang at venues like The Flamingo Hotel, Sombrero Club, and VIP Lounge. It was easy to see that Tinga was destined to make an enormous impact on the Reggae world. He then teamed with the Fab Five and Byron Lee and the Dragonaires. During this period, Tinga performed on a continuous basis at small scale venues like local schools. In 1971, Tinga joined the �Borris Gardner Band� as the lead vocalist. 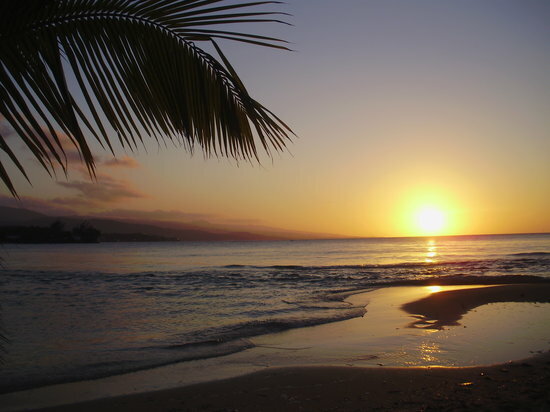 The band toured the entire Island of Jamaica as well as many other Caribbean Islands, mainly on the Hotel/Tourism circuits. In 1973 Tinga went solo and immediately scored a second hit �Funny Feeling�, produced by Lloyd Campbell. His success with the 1974 winning Festival song, �Play de Music� written by Ernie Smith, which is still to this date one of the best festival songs. With confidence and a well-established career, Tinga wrote the following year festival song, �Hooray Festival�, for his brother Roman Stewart. And in the year 1981, he walked away with a winning song "No Weh Nuh Betta Dan Yard" written by Sangie Davis, produced by Rita Marley. Tinga's song was on the lips of every Jamaican across the island. In the same year, he voted most popular reggae artist. Now a seasoned artist, Tinga has focused more on studio works with modest success completed two albums on John Carrol�s "Calabash label", titled �Key to Your Heart� and �I Feel The Music.� Having already made his mark on both Jamaican and the international scene, Tinga decided to further his repertoire by teaming up with, and adding that Tinga flair to the dancehall style. Between 1978 and 1979 Tinga did four songs for producer Joseph Hookin of "Channel One Records", titled "Dry Up Your Tears", "Gonna Fall in Love", "Rainy Night In Georgia" and "Long About Now", which hit the charts in England. In the same year, Tinga covered a Timmy Thomas song. "Why Can't We Live Together", which was a smash hit in Europe. In 1987 Tinga had a smashing hit "Aware of Love" produced by King Jammys, later in 1988 Tinga collaborated with reggae dancehall great Ninjaman and topped the charts with hits "Take Time to Know Her" and "Cover Me"; both went to No. 1 on the reggae charts. 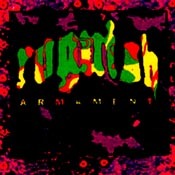 Shortly after followed by other dancehall hits, "Save the Last Dance" & "Sukie Sukie" the combination with DJ Tiger, "Up on the Roof" hit status as well. In 1994, Tinga topped the charts again with a Willie Lindo penned and produced song the lovely �Inside My Heart.� In 2000 he reunited with veteran producer Willie Lindo and released his album �Unforgettable�, which is considered one of his best to date. Tinga has 12 albums and over 200 singles, including two albums with his late brother Roman Stewart, the title "Brother to Brother" and "Break Down the Barrier". He also featured in various reggae compilations. Tinga has performed all over the world from Japan to the Netherlands. In 2001, he toured England twice working with Sanchez, Alton Ellis, Pat Kelly and Mickey Spice. In 2002 he toured Southeast USA for the "Pray for Love" tour, which was in memory of the 911 victims featuring such artist Freddie McGregor, Shinehead, Mikey Spice, & Fiona. Later in 2002, Tinga toured the USA again with Freddie McGregor and he was great, receiving excellent reviews. In 2003 he teamed up with Sanchez on his "Frenzy" tour, which was the talk of the town. Tinga is the one who discovered renowned singers Pam Hall, Twiggy & reggae artist Yami Bolo. Tinga penned Marcia Giffith's current hit song "Back in the Days" which went to number one on numerous reggae charts. 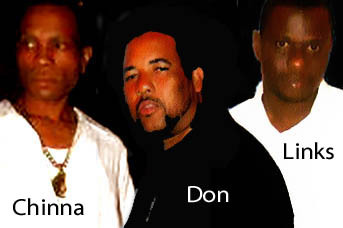 Tinga received numerous awards, such as "The Lifetime Achievement Award" presented in 2004 by the West Indian American Association of New Jersey, and "The Martins International Award of Honor", presented in 2003, and an "Official Citation" from the Mayor of Hartford Connecticut, presented in 2004, for his phenomenal success in reggae music, also the keys to the city of Fort Lauderdale, Florida, presented in 2002. Tinga's children are following their father's footsteps in the music business. His son Michael "Finga" Stewart has his own record label titled "Mixing Finga" and is also an engineer for the renowned reggae great Capleton. His Daughter Tina sings on his "Unforgettable" album, and daughter Katrina writes her own rap lyrics, other daughter Sandy sings background for reggae artist "Warrior King", and she is now working on her career with producer "Jah Screw". Tinga Stewart's discography is very impressive. Lot's of titles. 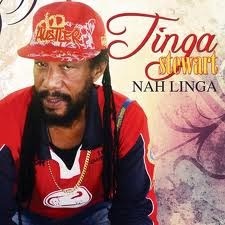 The "NAH LINGA" album was released March 15, 2010, on Emperor Records record label. This album is a pleasurable mix of conscious lyrics, social commentaries and of course lovers rock for the ladies. "NAH LINGA" was produced by son Michael "Finga" Stewart, Willie Lindo and Tinga Stewart. "NAW LINGA" is available on Itunes, AmazonMP3, Rhapsody, Emusic and all major digital outlets. Hardcopy CDs available in finer Brick and Mortars. Other available albums in Tinga Stewart's catalog are "Under Your Spell", "Ready To Groove", "From the Archives", "Unforgettable", "Ninja & Tinga alongside the Dancehall Greats", and "Brother to Brother", just to name a few. Tinga is reviewed as one of the most exciting performers today. 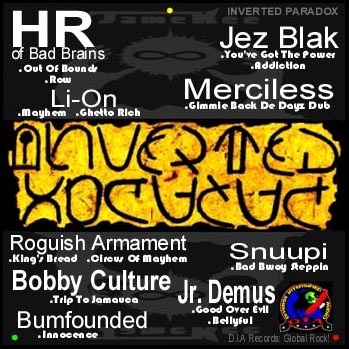 For Gigs also contact Tinga Stewart at emperorreggae@yahoo.com. AUG 8, 2010, Morning After Thanks: Big, Big, BIGUPS to the legendary TINGA STEWART who is a punctual, loyal, humble and great entertainer. Tinga is celebrating Forty (40) years in international reggae. This is quite an accomplishment. Fledgling singers or deejays should take notes from the veteran. BIG THANKS TO MID FLORIDA PEEPS ("U are blessed.") 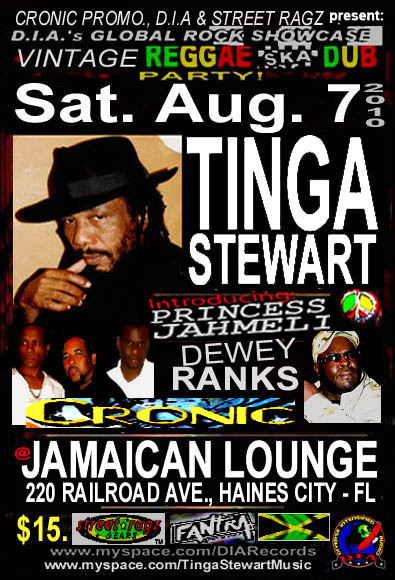 Thanks to JAMAICAN LOUNGE (Tampa "Trevor" Bay & Peanut...) Thank you CRONIC SOUNDS (Father "Maxwell" Cronic). Good prevails over evil always Ites. No semantics yo... D.I.A will genuinely help you lift sound system gears anytime. Thanks, DJ Links -- good effort dude -- you have a good heart. Chinna Man -- hold tight yo. 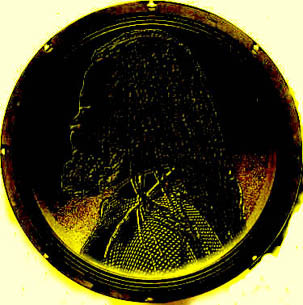 Selector Don Carlos -- true love every time. Stay on course and continue to think and practice PMA. UGGs -- t'ank yuh sah. BIG THANKS to the real sound system owner and operator Father Frost Proof from Sebring - Florida, who tweaked the mic so the TINGA STEWART could mash-up the house singing a cappella. And the audience sang along like they were in church. Some artists don't need a sound system or musicians behind them -- Tinga Stewart is one of them. Easy Dewey Ranks -- you are an entertainer -- "more love." BigUPS to Bev aka da Antiguan Spanish Guitar. You are big and broad in heart and kindness. And last but not least ... BIGUPS to Scrappy D from Lakeland -- you are a dignified class act man. I have to shout at Gold Teeth from Sebring also. All the very BEST!! Barry DIA (ain't no CIA). . When & Where: Sat. 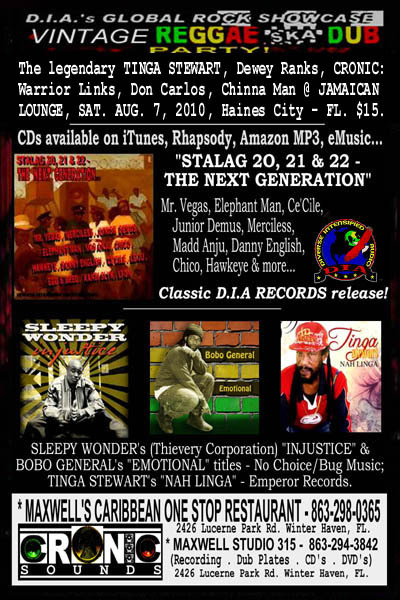 AUGUST 7, 2010 @ JAMAICAN LOUNGE -- 220 RAILROAD AVE., HAINES CITY - FLORIDA. Side 2: Stalag 20, 21 & 22 - The Next Generation , Tinga Stewart, Sleepy Wonder and Bobo General's titles plugged! Yo Stick -- lets cook the commercial Bruh! CRONIC is undoubtedly one of Florida's A-list sound systems. You can even take it further and say CRONIC is one of the notched SS in the USA. And with an arsenal of classic vinyl plus Cronic-specials (dub plates), CRONIC can rumble with any sound system worldwide. Encounters in a juggling-style format includes world-class champions Kilimanjaro, Body Guard, Bass Odyssey... Anchored by the almost invisible owner, Maxwell Smart -- CRONIC has been carving out a consistent niche in Florida for 11 years. And the future looks very luminous. Selector Chinna Man was there from the start. Later selectors Don Carlos and Warrior Links joined the Cronic team. 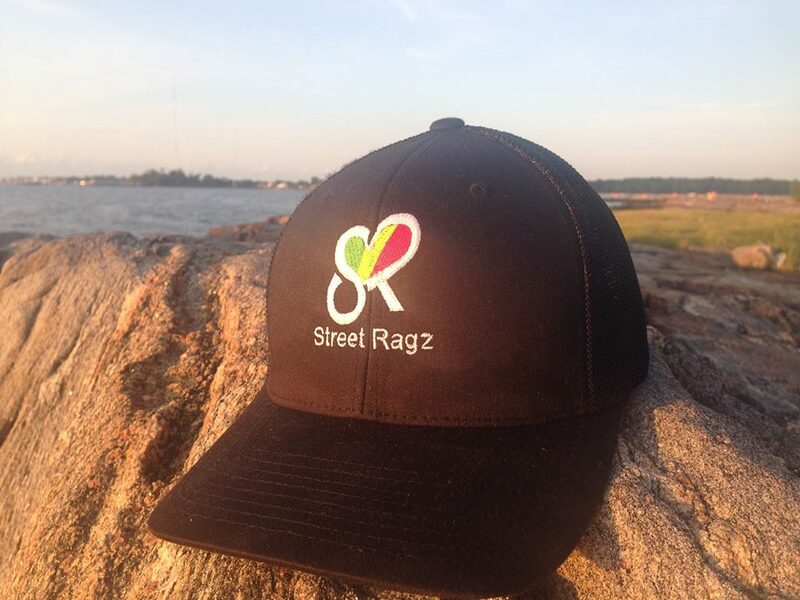 And like all selectors, this krew is passionate about their knowledge of muzik and selector's skillz. Heated conversation about reggae muzik and sound system-isms is a common occurrence. Verbal sparring away from turntables and amps is seriously a vicious competitive endeavor that is a part of the Sound System culture. It is like Leeds vs Manchester United in a championship soccer game. And no faint-hearted Poser #1 selector or sound bwoy should step up to the mic in conversation cos bwoy feelings often get hurt. Zeeeeeeen! GLOBAL ROCK In FULL EFFECT!! 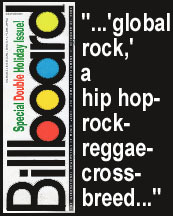 Jamaican Muzik Is At The Core Also!